Now it’s finally time for the next KaffeBox, for some reason it hasn’t taken a long time at all receiving this package of coffees, so let’s go with the October month now when the September review is done. We have to catch up!! This will be the eleventh time for KaffeBox, you can read the most previous post here. This month we will go back in time because Postnord kept the coffee for a month and I got it later. The coffee comes from the Swedish Gothenburg roastery Morgon Coffee Roasters. This week we will review one coffee from El Salvador and Ethiopia. Morgon Coffee Roasters, Gothenburg, Sweden. Altitude: 1 350 meters above sea level. Elegant, milk chocolate & grapefruit. Expectation: I actually fell for it at first smell, this coffee smells so good! And I’m so happy to see a coffee with a different process than Washed and I’m actually even happier to see it being a Honey process. This sounds golden, let’s hope it will deliver as well! Expectation: You can’t go wrong with Yirgacheffe, it will be nice to drink a peachy coffee again. It was a long time ago actually, at least it feels like it. I would not expect anything else than solid. Conclusion: I’m glad to see a Swedish roastery again in a subscriber box in KaffeBox. 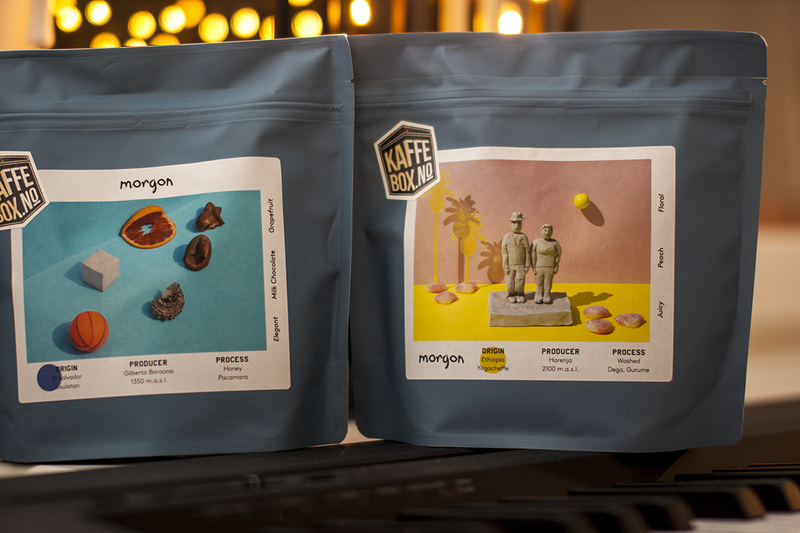 Morgon Coffee Roasters is a very young roastery, they started their roastery in 2018 and funny enough we’re at the end of that year. If we battle these two coffees against each other I have to say that the first coffee looks like a solid winner. It will be interesting to try the somewhat young Morgon Coffee Roastery! I’m saying somewhat because their experience probably began much earlier than 2018.